Our latest Twitter Tasting takes on a voyage of discovery into the world of cane juice spirits, specifically Rhum Agricole from Martinique in the form of Rhum Clément. Partnering up with the team at Amathus Drinks, who are the official UK importers and distributors, and the lovely people at Rhum Clément we’ll look to take you on a tasting journey through a selection of tasty aged and unaged rhums. 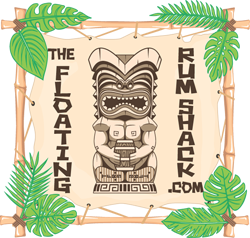 We’ll discuss the differences between rhum and rum, the Appellation d'Origine Contrôlée and just why it’s all so damn tasty (and why haven’t we all been drinking more of it for longer?) and how to get the best out of it in a cocktail. Havana Club is giving their Añejo Especial a little freshening up ahead of summer; a little more of a family vibe in terms of colour scheme. We’ve not got much in the way of specific details to share on this new release just now, but the fact that Carl Stephenson has been involved in the brands creation fills me with a great deal of confidence and a strong desire to taste some. Especially at the price-points indicated.